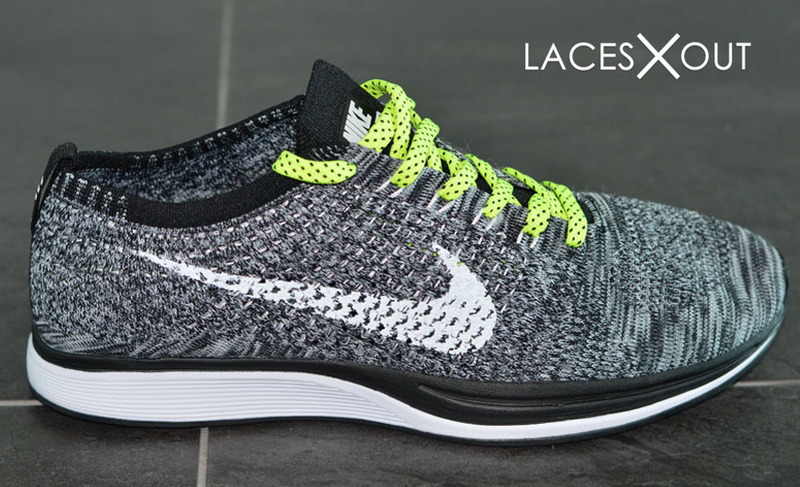 In February of 2012, Nike dropped the first Flyknit. 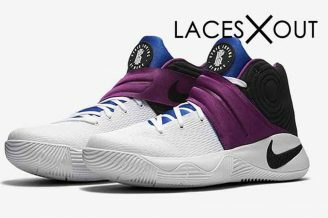 4 years later, it’s one of the hotter silhouettes that’s expanding it’s technology to a number of sneakers within the Nike family. 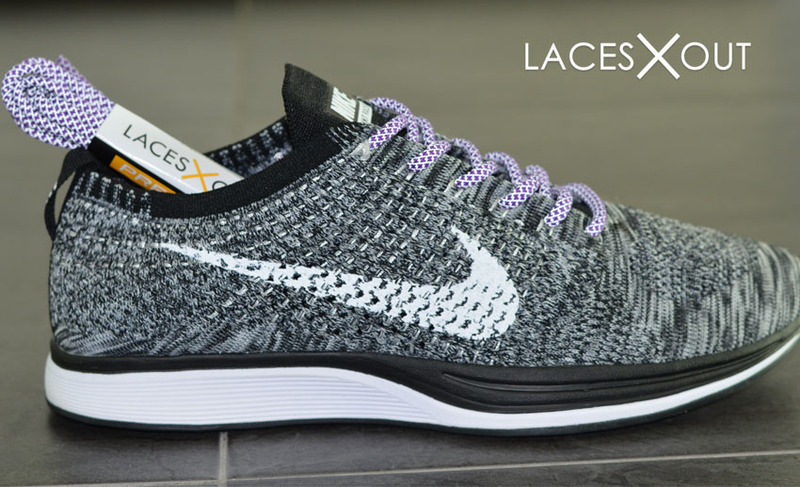 One of my personal favorites is the Flyknit Racer, in particular, the “Oreo” colorway. 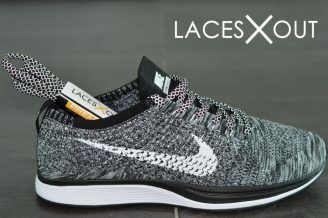 The black and white woven body comes with a pair of lightweight, flat black shoelaces as a part of the stock model. 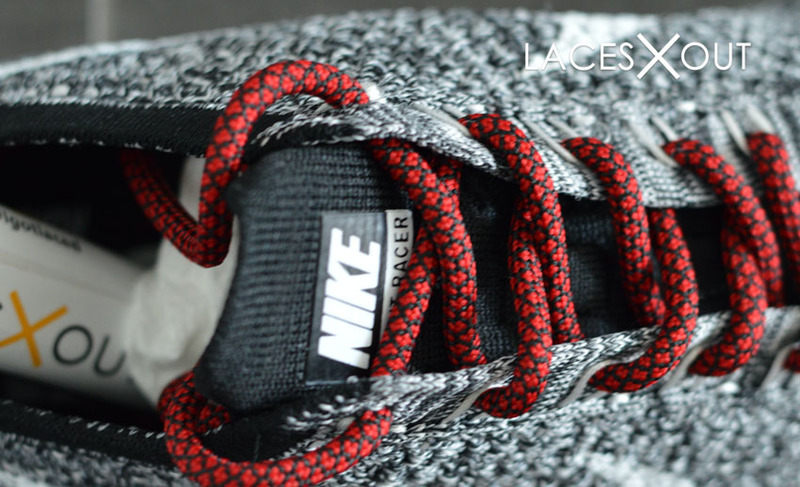 While the original laces are cool, you can step up the look with a number of different shoelace styles. 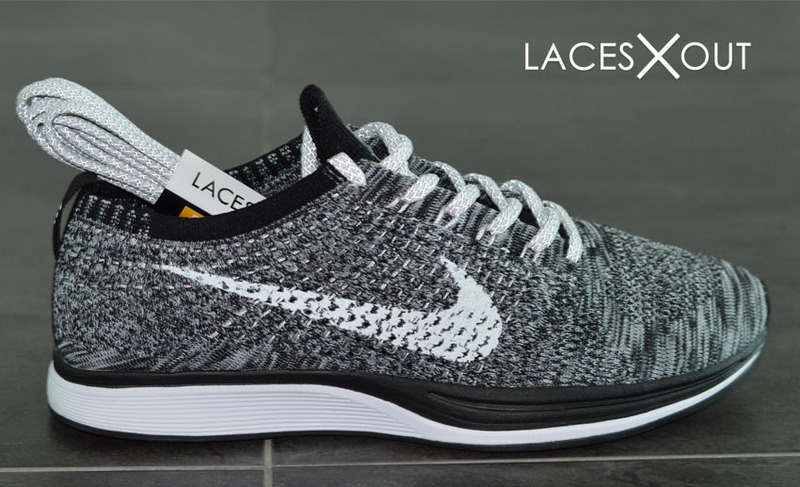 I dug into some of our recent inventory and put together some high res images detailing 9 different lace swap ideas for your Nike Flyknit Racers. 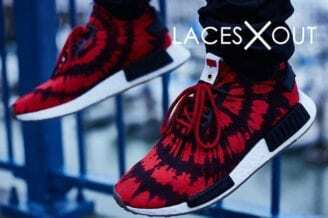 I gave them my own “lace swap” grades, but I’m, curious to know what you guys think. 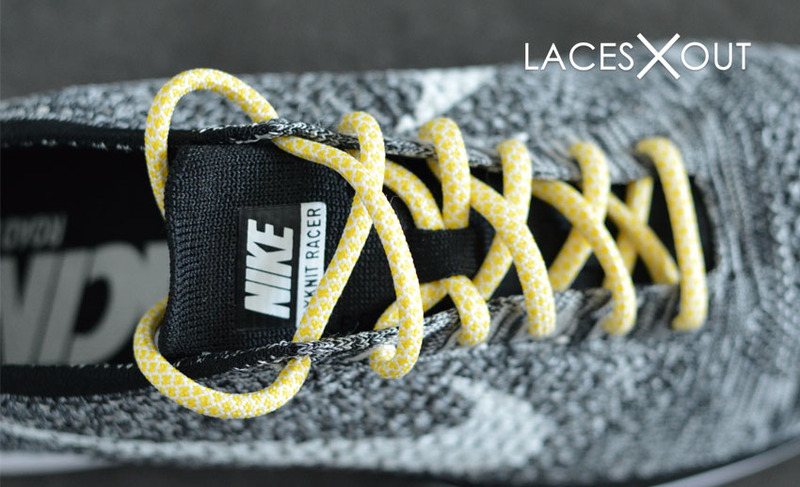 “3M” laces reflect light when it’s directly shined on them (NOT to be confused with glow in the dark). 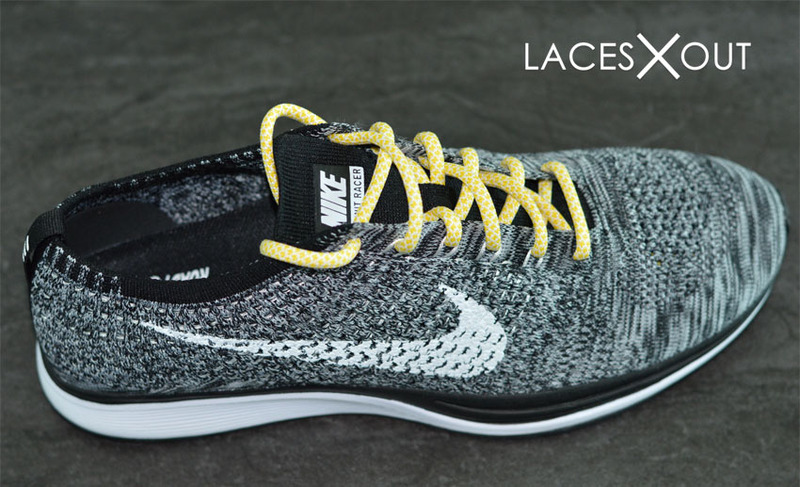 The racer’s have a similar shine to them so I figured this type of lace would match up well against the woven body. 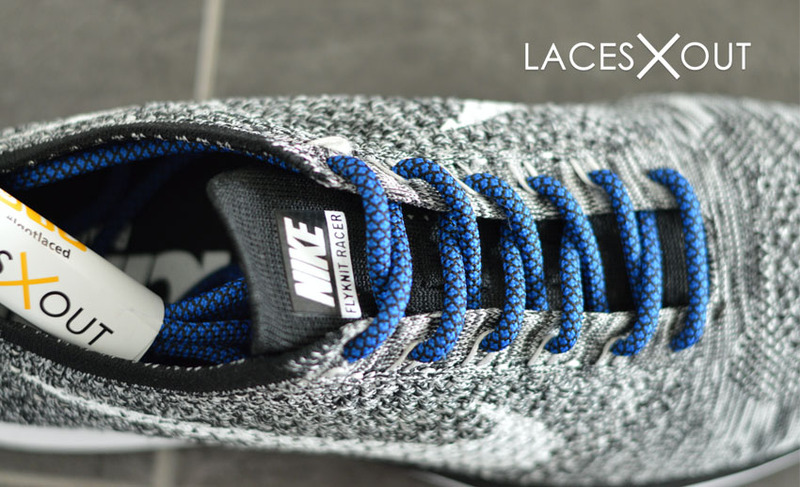 I went with a pair of “flat” blue 3M laces – I think they complement the sneaker nicely. I included 4 photos, 2 with the flash on, 2 with the flash off. 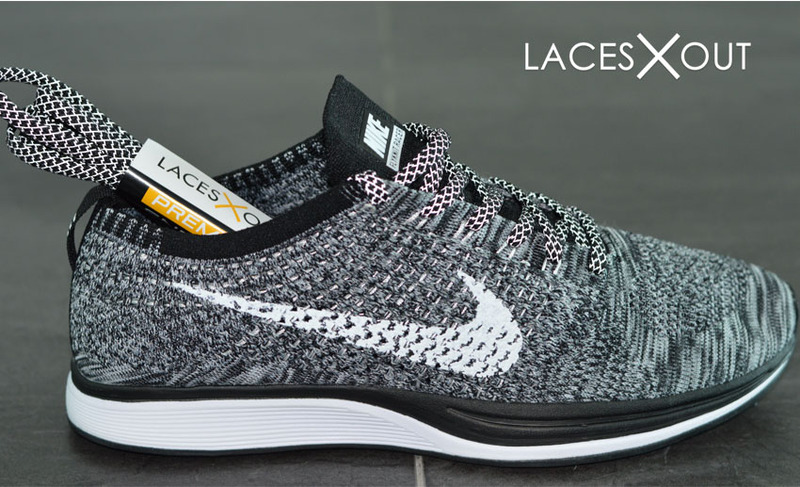 You can see in the images with the flash how the laces reflect the light – I think it’s a nice touch that pops off the sneaker and give it additional edge. 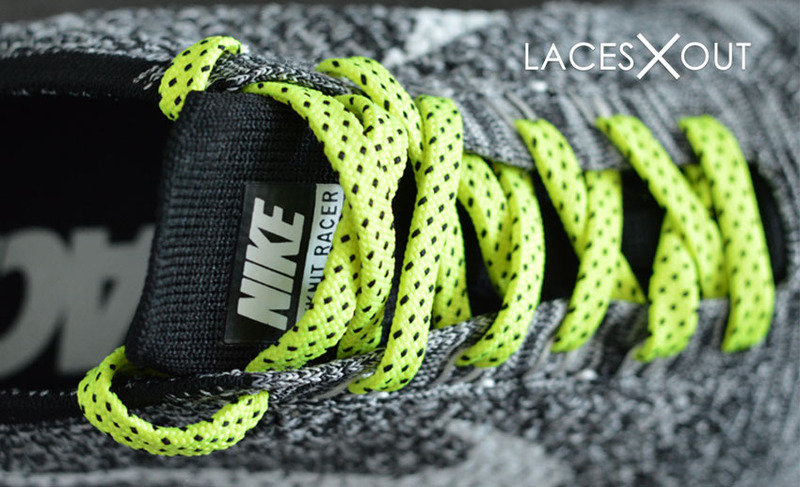 The dark body of the Racer is a perfect complement for these “flat” neon yellow laces. 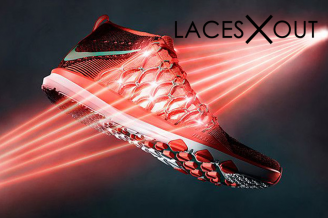 Neon laces are tough to rock, as they can overpower the sneaker and ultimately contradict what you’re trying to accomplish with a lace swap (they should complement the shoe, not over power it). 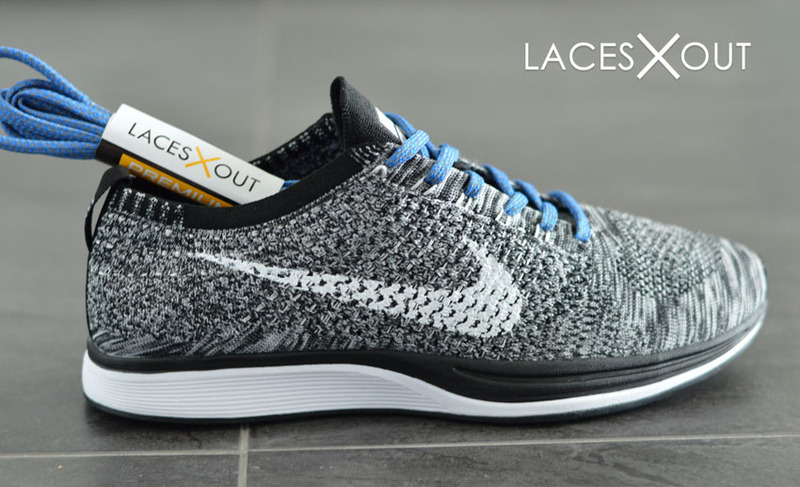 The “Oreos” are the perfect sneaker for neon laces as they don’t get overrun by the bright color, they fit perfectly. I’m going to be honest, I liked these when I first put them together, but when I compare them to the others, they’re just ok for me. 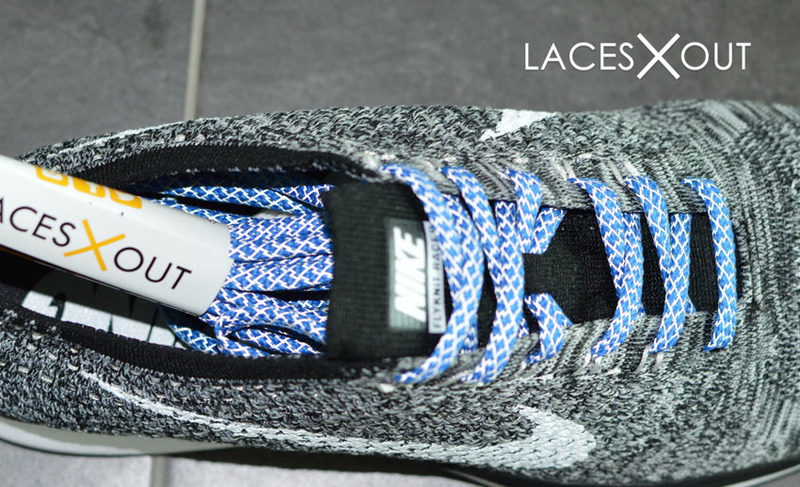 The original thought was the light colored laces would pop off the shoe (and they do), but they just don’t hold the same weight as some of these other swaps. 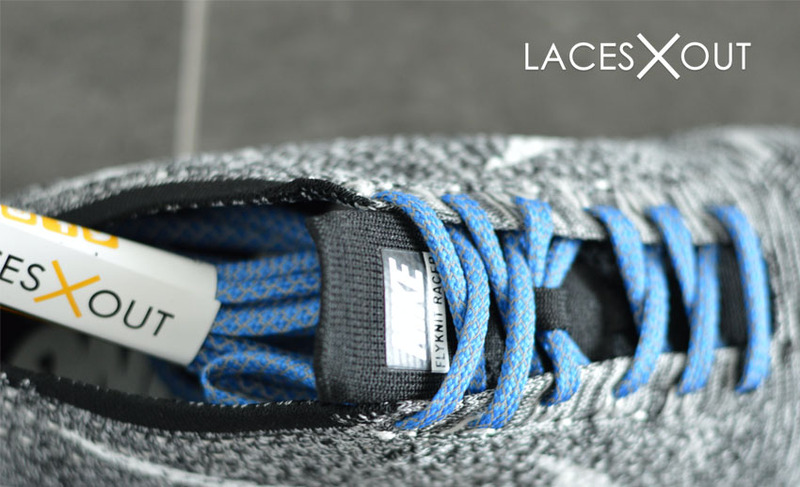 It’s a shame, these are one of my favorite laces we carry – they’re high quality and just plan different (NO ONE has these). 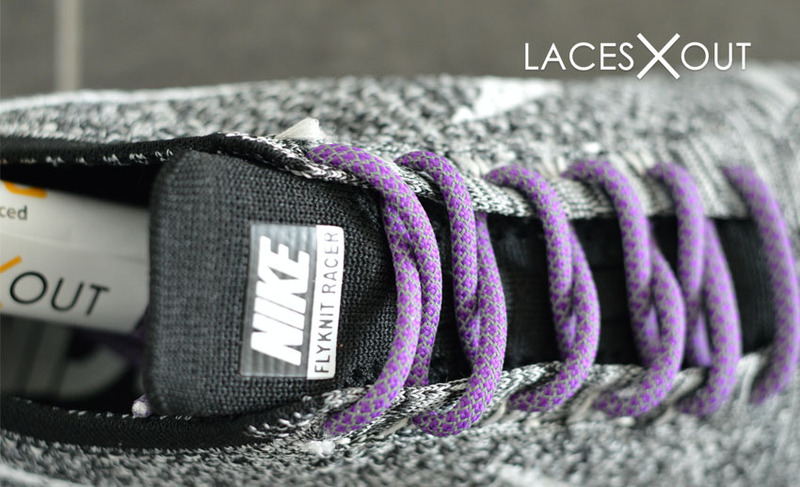 These purple ropes are the newest lace we carry and I really like them in the racers. 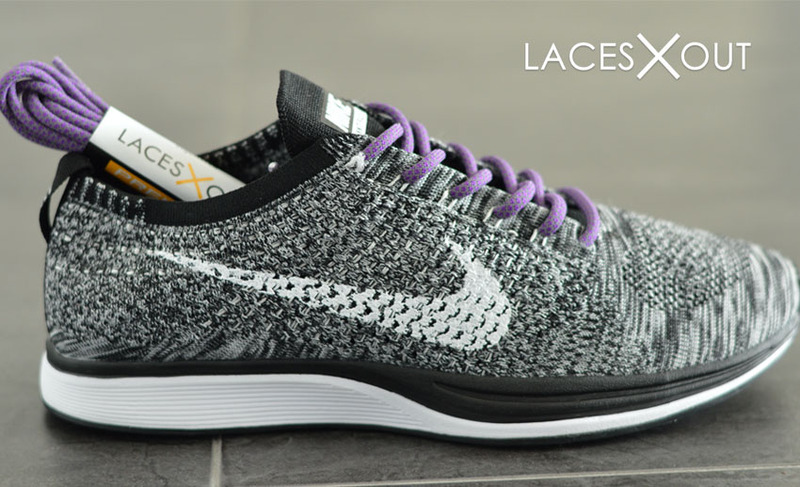 When the light hits them, they have the reflective sheen, but when they’re sitting in daylight they’re a nice purple with woven grey accents. By far my favorite swap on this list. 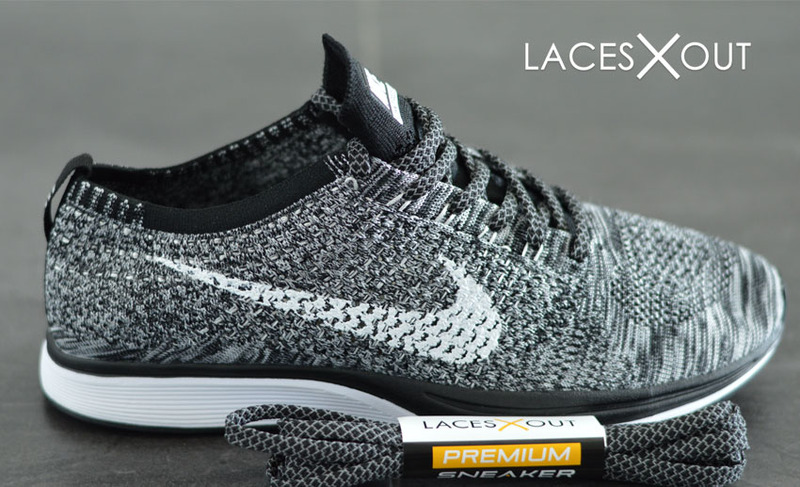 The original Racer’s come with a pair of thin, black, “flat” laces – sometimes the original just needs a slight upgrade. 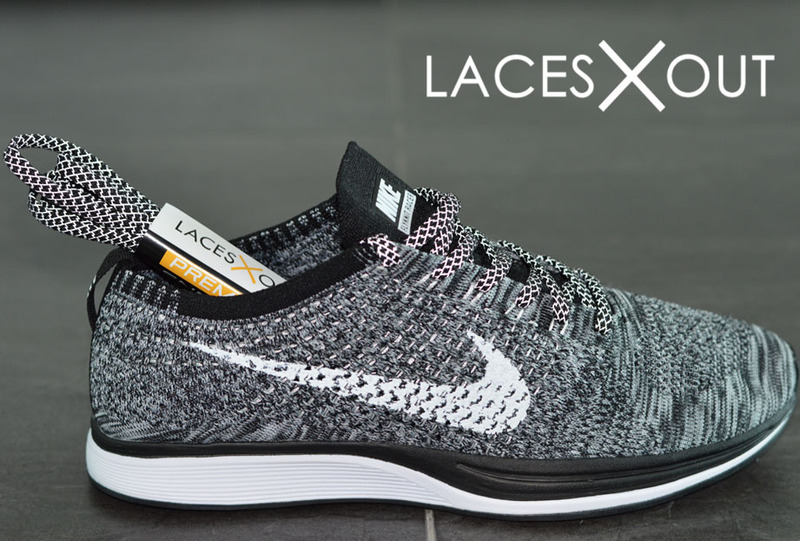 These are another pair of reflective 3M laces that really pop when light hits them (see image 2) but don’t detract from the sneaker at all. 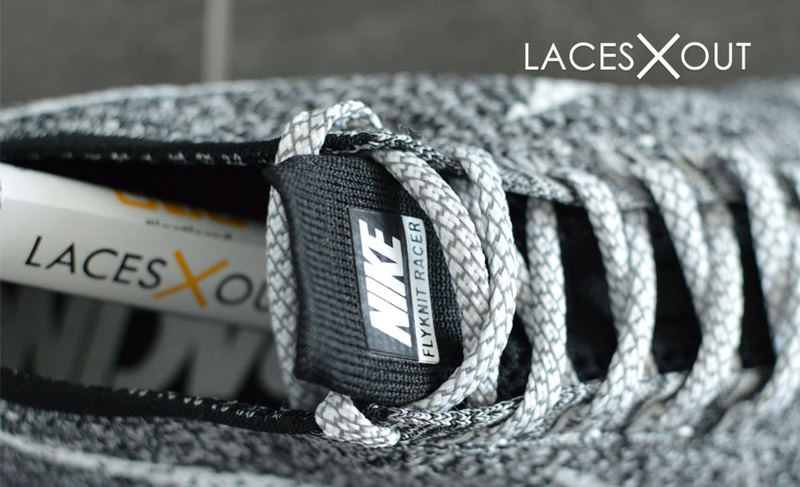 it’s no surprise these laces are our top sellers on the site. 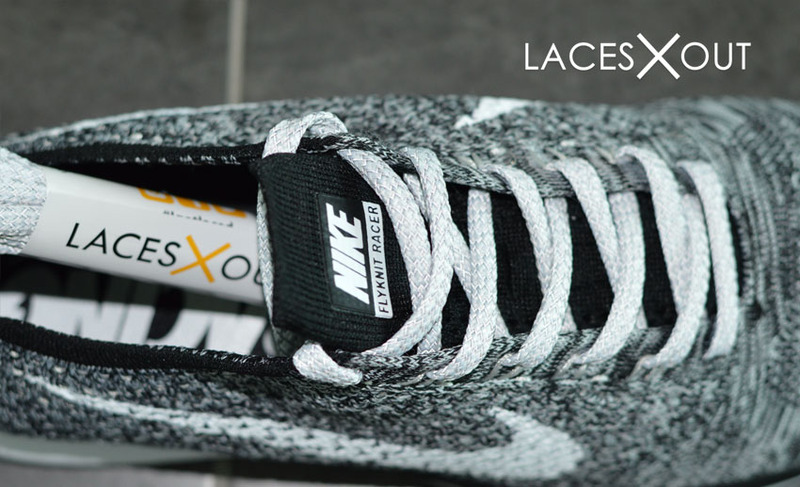 Just like the black 3m laces, the grey and whites don’t overpower the sneaker. 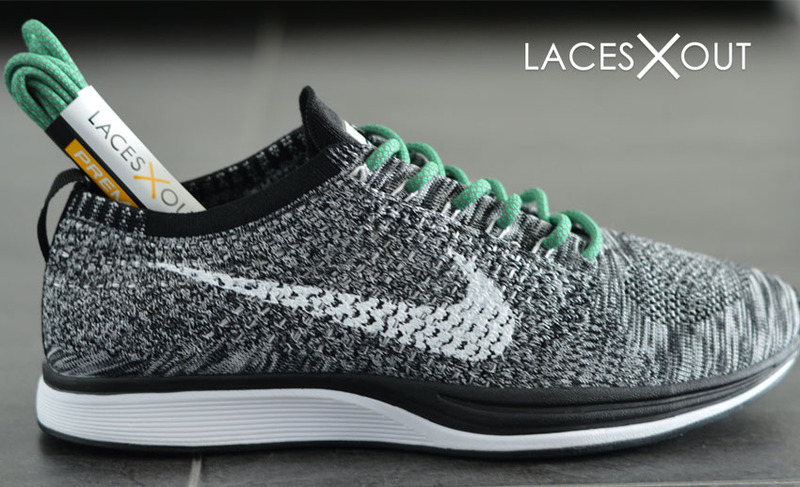 They’re a subtle complement that fits in naturally with the sneaker. 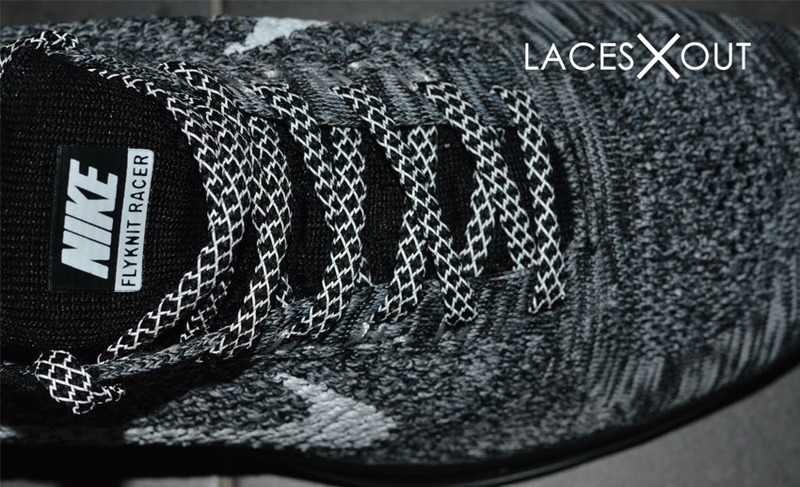 These laces are especially interesting in the daylight, as they’re more white than grey (see 2nd image). 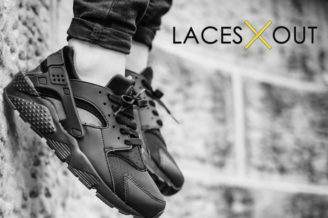 I thought these might look nice together because of the black in the laces, but I’m not overly crazy about the results. 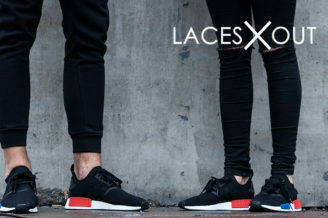 I think the red is just doing a little too much in the shoes and distracts from the clean body of the sneaker. 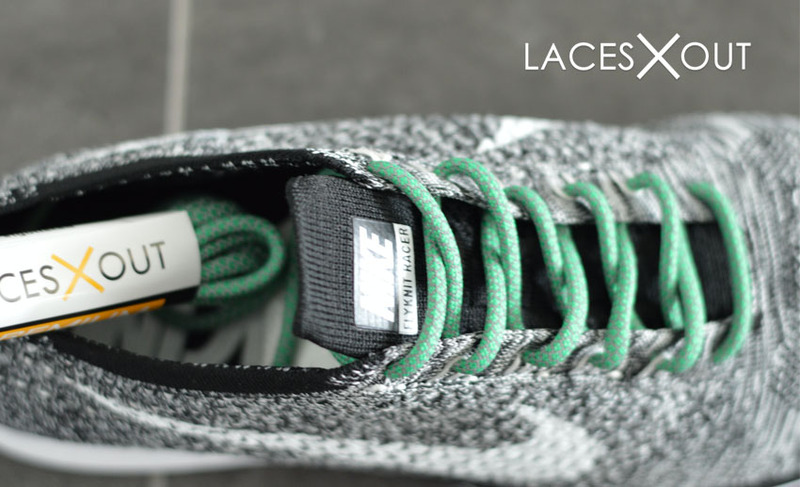 Another new edition to out store, these green and grey rope 3M laces add a little minty pop to the Racer. 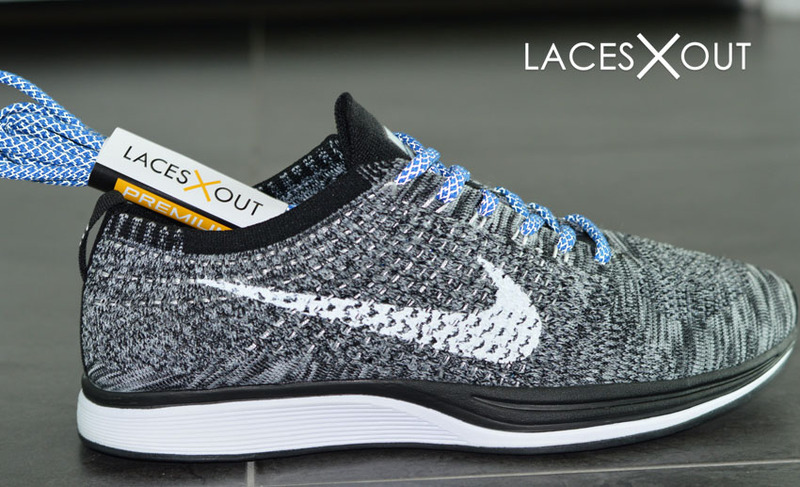 Again, these are just ok for us – the further we get down this list the more we like the traditional black, grey and white lace combinations for the Oreos. 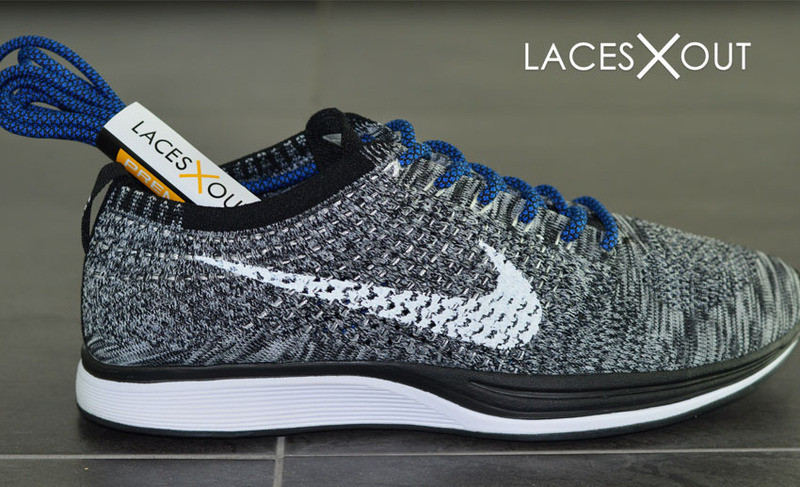 Another pair of unique laces for us, the black and blue “bruise” rope laces add an additional edge to any sneaker, not just these Flyknits. 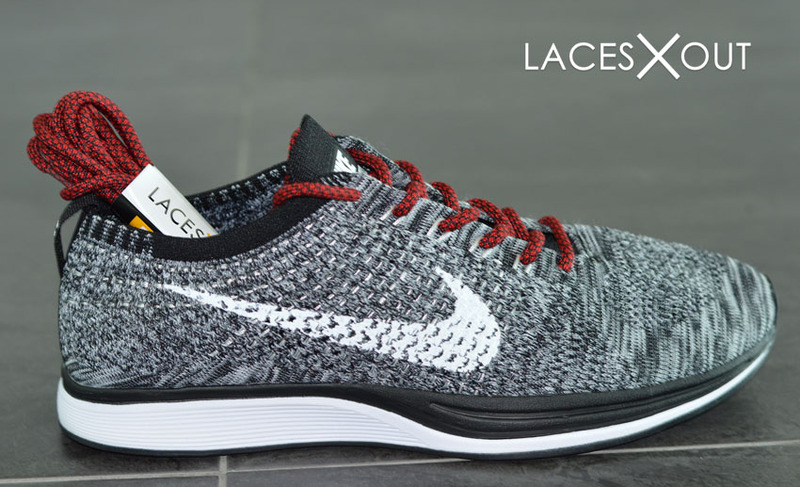 Similar to the red and black checkers, the base of the lace is black but uses blue instead of red as the accent color. In this case, the blue is less overbearing than the red and makes for a much better fit for the oreos. What do you guys think of these swaps? Let me know in the comments.